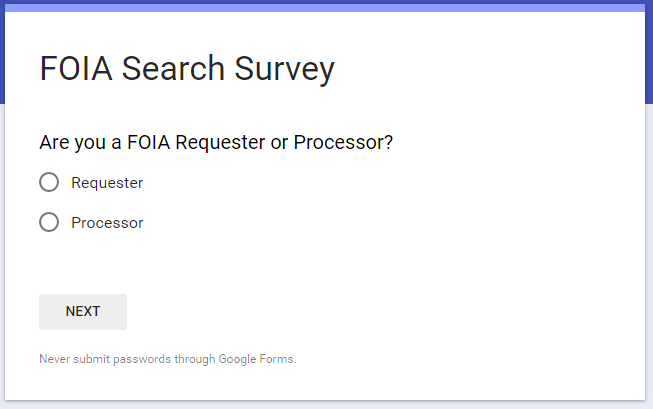 The National Security Archive and the Project on Government Oversight are distributing a survey for both FOIA processors and FOIA requesters on how agencies conduct searches. 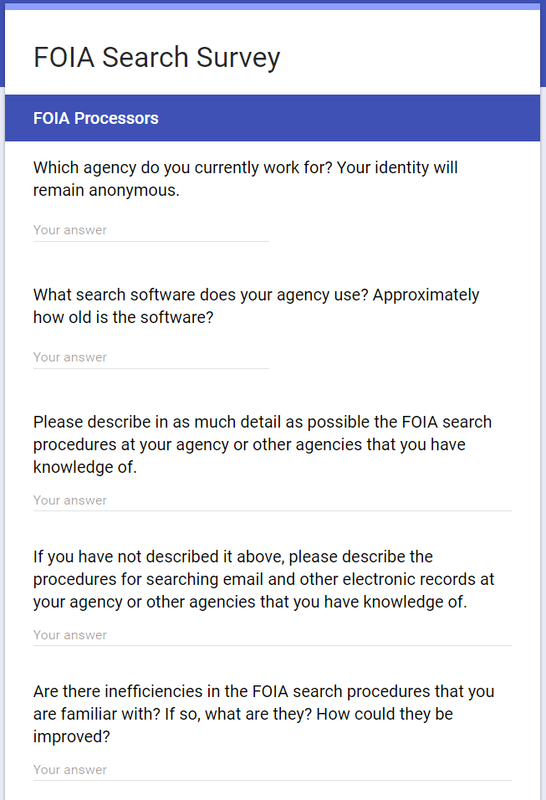 The goal of the survey will be to collect data on disparate agency search methods and software – and the more people who fill it out, the more useful the collected data will be. Please take 10 minutes to fill out the survey and help us circulate it as widely as possible. Please keep in mind that these answers will be made public, so don’t include any information you don’t want shared – like your name, email, etc. 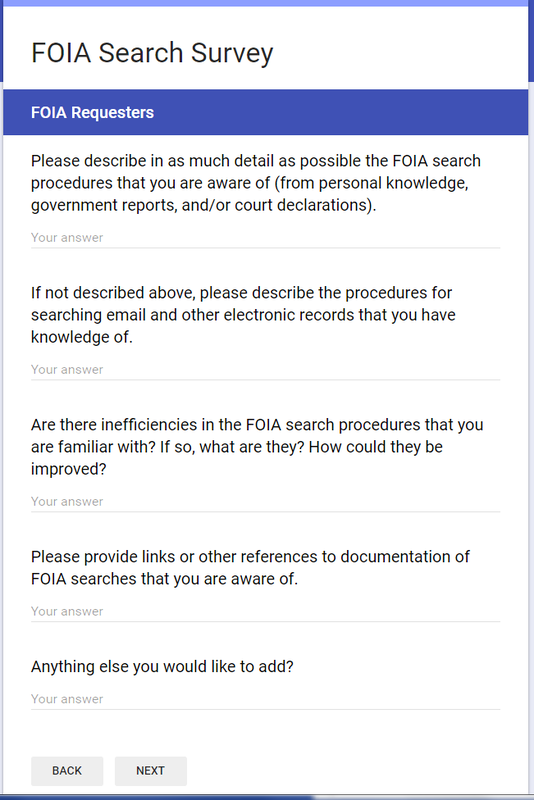 The FOIA Federal Advisory Committee has a subcommittee devoted to studying searches, and a robust response to this survey will help ensure they have a representative view of issues surrounding FOIA searches from agency and requester community perspectives. The survey will remain open until the end of February.